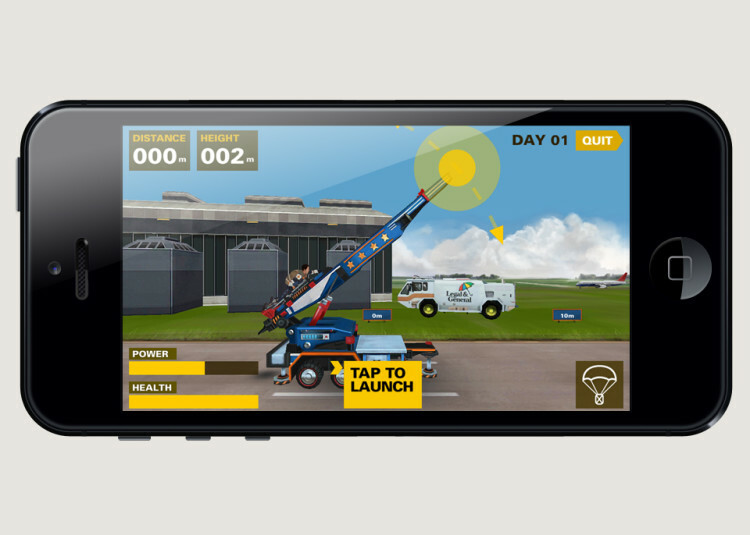 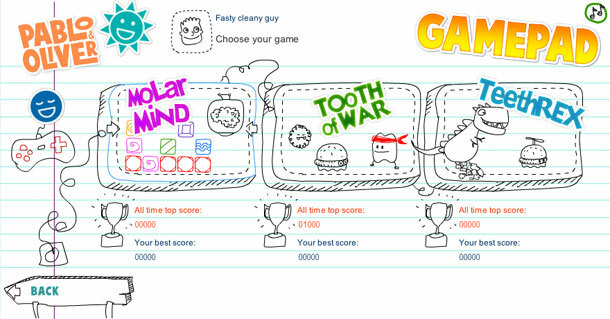 We created the Gamepad for Unilever’s Brush Day and Night web site to drive traffic, and to reward children who brush their teeth… day and night. 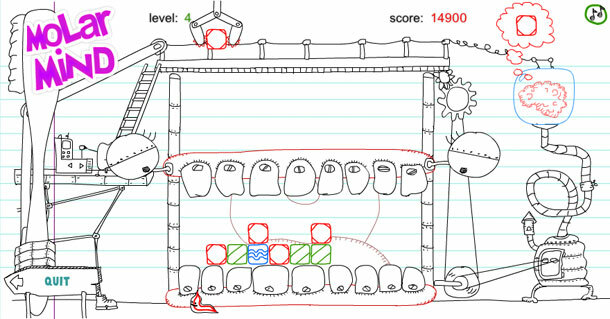 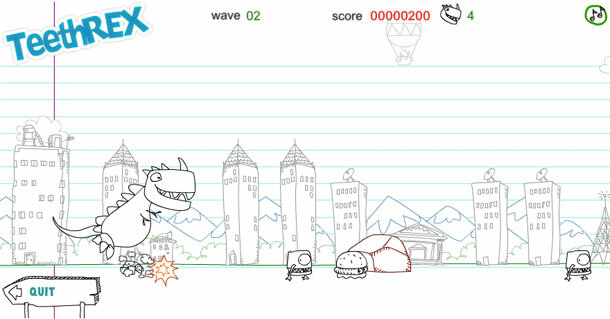 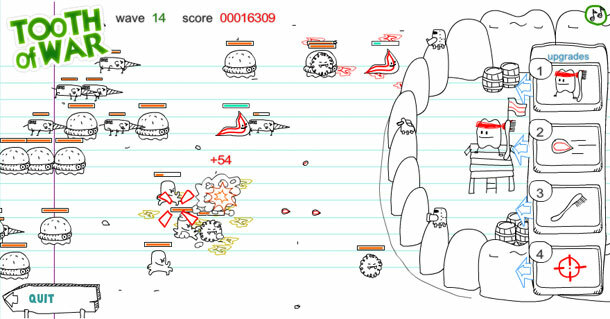 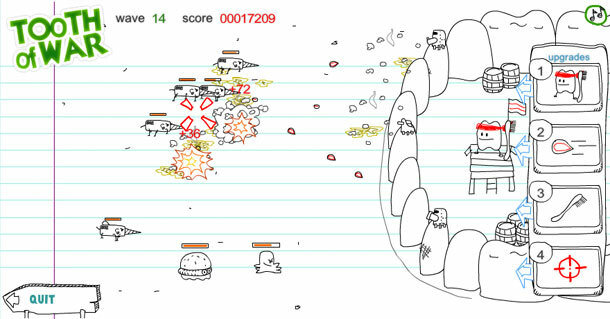 There are three games, each one pitching you against the ‘Mouth Monsters’ and drawn in a unique sketchpad style: Jump and stomp your way through waves of enemies in TeethRex, bend your brain with the strategic blocks of Molar Mind, and save your teeth from relentless assault in the tower-defence style Tooth of War. 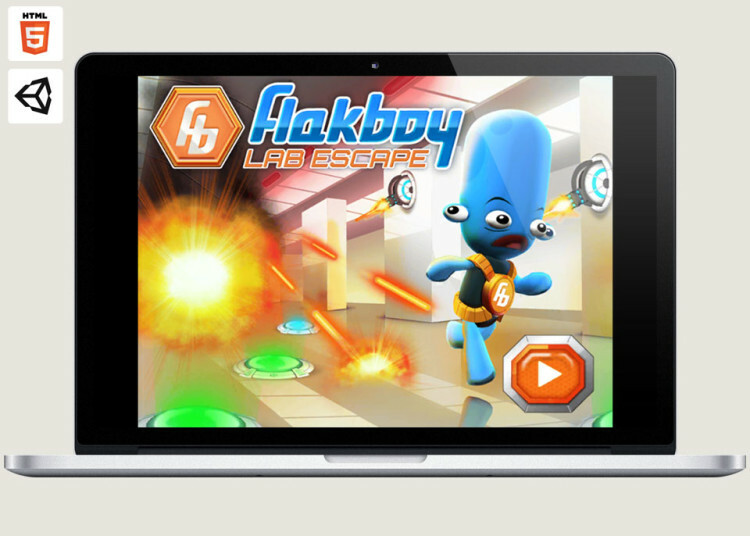 The Gamepad is more than a simple menu system, featuring locally-hosted high scores and registration system for both adults and parents. 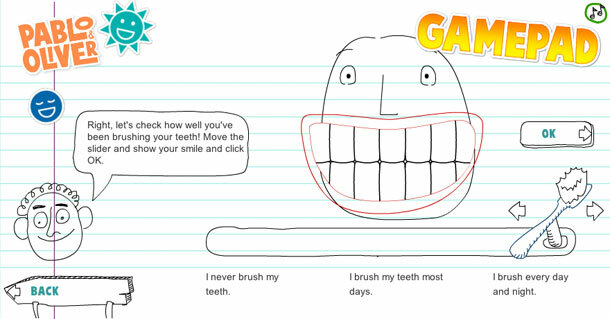 Each day, parents can log into the site and set the slider to show how well the children are brushing their teeth. 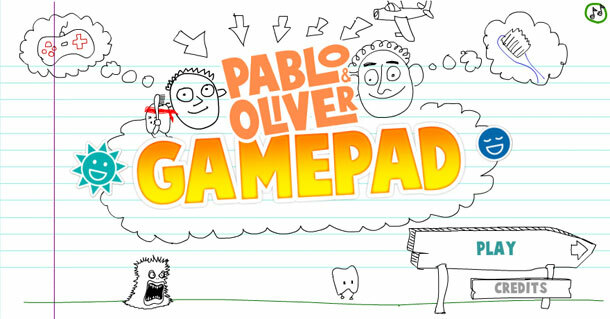 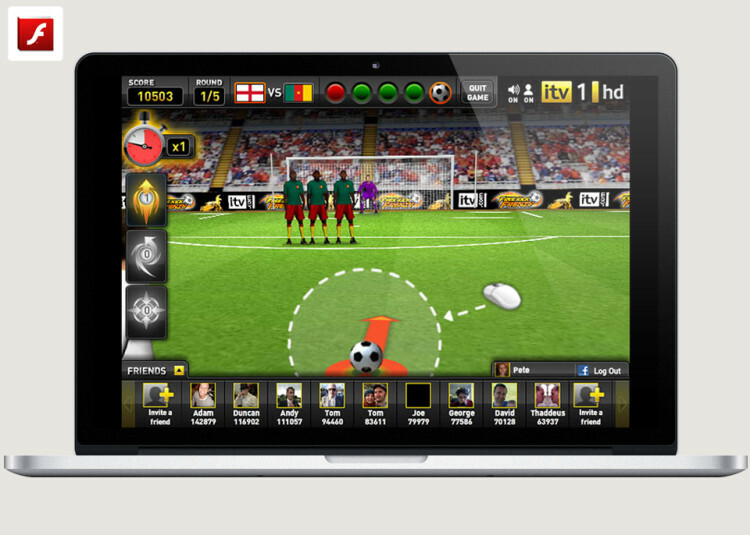 The Gamepad then controls the length of time the children are allowed to play the games – rewarding them for brushing regularly.